In the NFL, this would be a 12-game suspension and a mandatory stay at AA meeting. 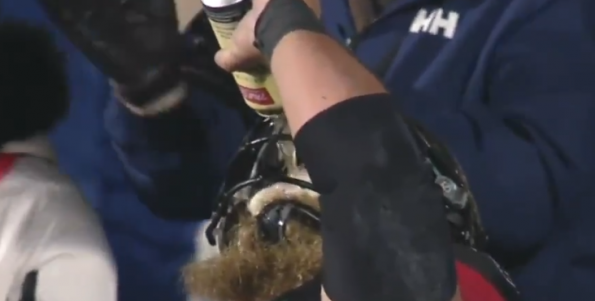 After the team scored a touchdown, Jon Gott of the Ottawa Redblacks ran over to the stands, grabbed a beer from a fan, and chugged it right there on the field. Does not look like a flag was thrown.